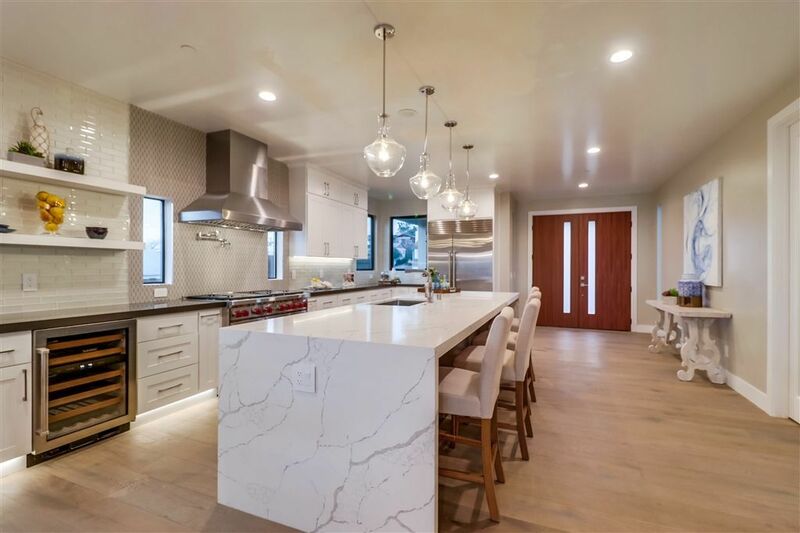 Newly constructed view home located in highly desirable Point Loma Heights. Upon entry, you will be awed by the stunning design, finishes, and views this home has to offer. Open concept with seamless integration on kitchen, dinning, and living room all leading to a spacious outdoor ocean view deck. High ceilings, wide plank European Oak flooring, LED lighting highlight this area. Gourmet kitchen with Wolf/Subzero appliances and wine fridge. 12 ft water fall island perfect for seating and interacting while cooking. Large walk-in pantry allows for plenty of storage. Custom tile television wall with electric fireplace. Ensuite bedroom down with the rest of the bedrooms upstairs. Loft space upstairs can be used for a second living room. Huge master retreat accented with ocean views.Custom tile television wall with electric fireplace. Private deck, huge master bath with shower and separate tub. Plenty of cabinets creating ample storage space. Massive walk-in closet with built-ins. Large dedicated laundry room. Guest bedroom with North West facing view deck. Network ready rooms, Nest thermostats, Ring door bell, Legrand wall plates, and two HVAC systems. Downstairs bonus room with half bath leading to backyard. Expansive backyard with newly refinished pool with solar creates the ideal setting for entertaining or play. 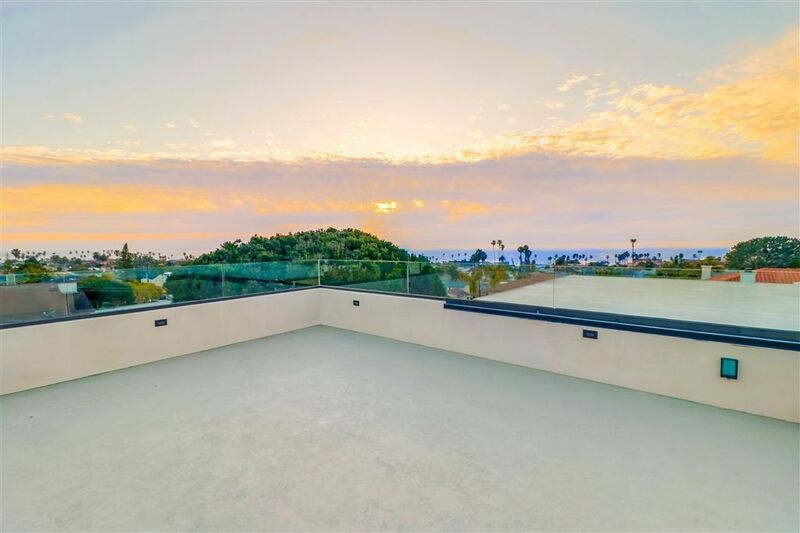 Enjoy 360 degree views and sunsets from the easily accessible roof top deck. Detached finished garage. Property is situated on a 7,000 sq ft lot. Close proximity to beaches, shops, retail, and restaurants.